We all do it: Texting while walking, sending emails during meetings, chatting on the phone while cooking dinner. In today's society, doing just one thing at a time seems downright luxurious, even wasteful. But chances are, you're not doing yourself (or your boss, or your friends and family) any favors by multitasking your way through the day. Research shows that it's not nearly as efficient as we like to believe, and can even be harmful to our health. Here are 12 reasons why you should stop everything you're doing—well, all but one thing—and rethink the way you work, socialize, and live your life. What you call multitasking is really task-switching, said Guy Winch, author of Emotional First Aid: Practical Strategies for Treating Failure, Rejection, Guilt and Other Everyday Psychological Injuries. “When it comes to attention and productivity, our brains have a finite amount,” he says. “It's like a pie chart, and whatever we're working on is going to take up the majority of that pie. There's not a lot left over for other things, with the exception of automatic behaviors like walking or chewing gum.” Moving back and forth between several tasks actually wastes productivity, he says, because your attention is expended on the act of switching gears—plus, you never get fully “in the zone” for either activity. Contrary to popular belief, multitasking doesn't save time. In fact, it will probably take you longer to finish two projects when you're jumping back and forth than it would to finish each one separately. The same is true even for behaviors as seemingly automatic as driving: In a 2008 University of Utah study, drivers took longer to reach their destinations when they chatted on cell phones. Experts estimate that switching between tasks can cause a 40 percent loss in productivity. It can also cause you to introduce errors into whatever you're working on, especially if one or more of your activities involves a lot of critical thinking. Forget seeing the forest for the trees or the glass half full—people who are busy doing two things at once don't even see obvious things right in front of them, according to a 2009 study from Western Washington University. Specifically, 75 percent of college students who walked across a campus square while talking on their cell phones did not notice a clown riding a unicycle nearby. The researchers call this “inattentional blindness,” saying that even though the cell-phone talkers were technically looking at their surroundings, none of it was actually registering in their brains. It makes sense that if you try to do two things at once—read a book and watch television, for example—that you're going to miss important details of one or both. But even interrupting one task to suddenly focus on another can be enough to disrupt short term memory, according to a 2011 study. Being distracted during mealtime can prevent your brain from fully processing what you've eaten, according to a 2013 review of 24 previous studies. Because of that, you won't feel as full, and may be tempted to keep eating—and to eat again a short time later. Yes, you. 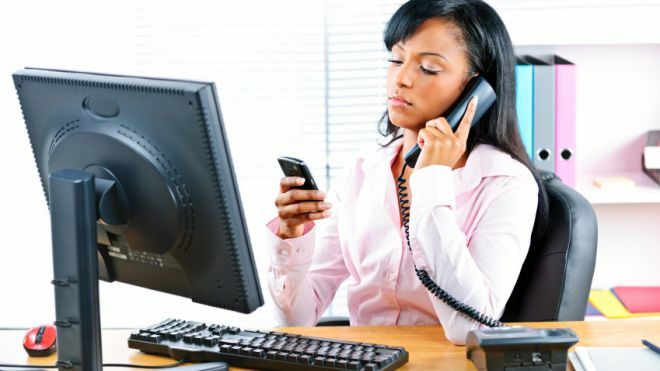 You may think you're a master multitasker, but, according to a 2013 University of Utah study, that probably means you're actually among the worst. Multitasking requires a lot of what's known as “working memory,” or temporary brain storage, in layman's terms. And when working memory's all used up, it can take away from our ability to think creatively, according to research from the University of Illinois at Chicago. Texting or talking on a cell phone, even with a hands-free device, is as dangerous as driving drunk—yet that doesn't stop many adults from doing it, even while they have their own children in the car. It's not just driving that puts you at risk for the consequences of multitasking, either. Research also shows that people who use mobile devices while walking are less likely to look before stepping into a crosswalk. And in one study, one in five teenagers who went to the emergency room after being hit by a car admitted they were using a smartphone at the time of the accident.